If you are a family caregiver for one of the approximately one million people throughout the United States who is suffering from Parkinson’s disease and your aging loved one has reached or is approaching the fourth or fifth stage of the disease, you have already been through a considerable amount. The most advanced stages of the disease, these stages can take 20 years or more to reach for some people, but may also come more quickly. No matter how long it takes for your elderly parent to reach the end stages of PD, this is the time when your parent will need the most care and attention. No longer capable of caring for themselves or living alone, your parent will need care at all times to ensure that they stay as safe, healthy, and comfortable as they can. Continue encouraging medication compliance. Just as it has been throughout their journey, medication compliance continues to be extremely important at this stage. Ensuring that your aging parent takes their medication when and how they are supposed to is an important part of them continuing to get the best results from it. Focus on safety. Take steps to ensure that your elderly parent remains safe in all tasks in their day. This includes monitoring their eating to minimize choking risk, providing plenty of physical support to reduce fall risk and other dangers, and keeping their body clean and protected to prevent injuries such as pressure sores and infection. Show respect and dignity. This will be an incredibly difficult time for you and it is easy to get frustrated or upset, but it is critical that you focus on showing your parent respect and dignity in everything that you do for them. Do not forget that this is still your aging parent and that you care for them because you love them. Find additional meaning and value in your care journey by continuing to talk with them, share with them, and show them love each day, even if they are not able to engage with you. You have no way of knowing what they are experiencing or how much they are processing, even if they seem like they are not responding, so show them the same dignity, respect, and compassion in every task now that you would have in earlier stages. Whether your aging loved one has only recently received their diagnosis of Parkinson’s disease or they have been dealing with this condition for some time but are progressing further into their symptoms and challenges, starting home care for them can be one of the best decisions that you can make. An in-home senior care services provider can be with your elderly loved one on a customized schedule that ensures that they have access to the care, support, encouragement, and assistance that they need when they need it, but you can also remain at the forefront of their care routine. 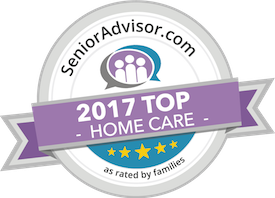 This care provider can create a highly personalized set of services that is tailored not just to help your parent handle their challenges, limitations, and symptoms now, but also prepare them for those that will develop in the future. By helping then to prepare for the next stage, this care provider can help your loved one feel more confident moving forward, enabling them to focus on making the most of their later years. For you as their caregiver, this support and care can be particularly meaningful and beneficial during the later stages of the disease. As your parent is progressing into more and more challenging symptoms that require an ever-increasing amount of care, you are likely to start feeling stressed and even overwhelmed. Having a dedicated care provider in the home with your parent allows you to take care of yourself, get the rest and breaks that you need, and focus on other elements of your life that you need to, such as your children and your career, while also knowing that your parent is getting everything that they need. Have questions about home care in Kaanapali, HI? Contact the caring staff at All Care Hawaii today. Call Oahu (808) 206-8409 or Maui (808) 664-3853. Call us 24 hours a day, 7 days a week!